Today, Bandai Namco announced that it has released two Taiko no Tatsujin games on Nintendo Switch and PlayStation 4, with a different setlist and gameplay modes for both. Taiko no Tatsujin: Drum ‘n’ Fun! for the Nintendo Switch will cater towards the party crowd with 20 different minigames included in the package, while Taiko no Tatsujin: Drum Session! for the PlayStation 4 will center around world ranked matches and a competitive songlist. This Japanese cult classic rhythm game returns to the America with new songs, special characters, and new ways to play on both platforms! Taiko no Tatsujin: Drum ‘n’ Fun! for Nintendo Switch and Taiko no Tatsujin: Drum Session! for PlayStation 4 computer entertainment system each have unique features that tailor the Taiko no Tatsujin experience for players on each platform. Taiko no Tatsujin: Drum ‘n’ Fun! for Nintendo Switch introduces motion-control play using the Joy-Con® controllers as drum sticks, giving players the classic arcade experience from the comfort of their own home. With platform exclusive characters, such as Kirby from Kirby® and Squid from Splatoon® 2, and 20 mini-games that can be played by up to 4 players, Taiko no Tatsujin: Drum ‘n’ Fun! offers everyone a new way to play with friends and family! Taiko no Tatsujin: Drum Session! 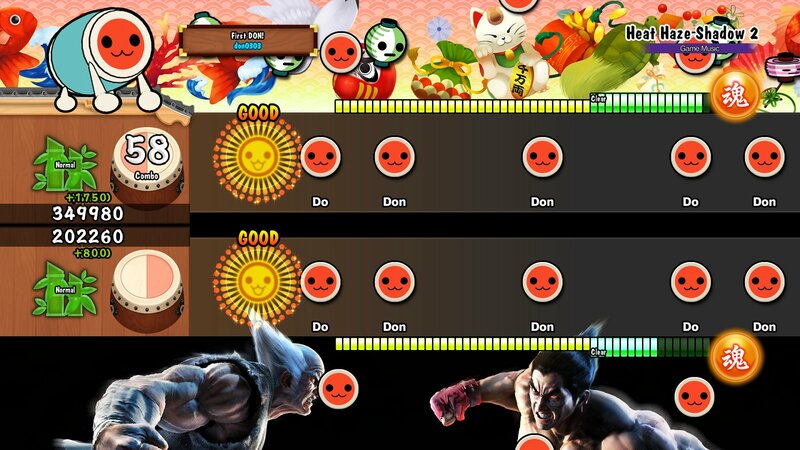 for PlayStation 4 system plays to the competitive side of Taiko no Tatsujin and offers Ranked Mode, where Taiko players around the world can compete against each other through ghost data. Players can also unlock customization items for the Taiko no Tatsujin mascot, Don-chan, and can play Guest Sessions with characters like Hatsune Miku®, Hello Kitty®, and many more! A special ranking event will be starting today and running through November 13th for Taiko no Tatsujin: Drum Session! Titled “Taiko World Fest”, players will be able to join in ranked sessions with players from around the world in celebration of the game’s release in the Americas and Europe. Players can earn bonuses by playing ranked matches against other players during this special event. Related Articles: Taiko no Tatsujin: Drum ‘n’ Fun!, Taiko no Tatsujin: Drum Session!